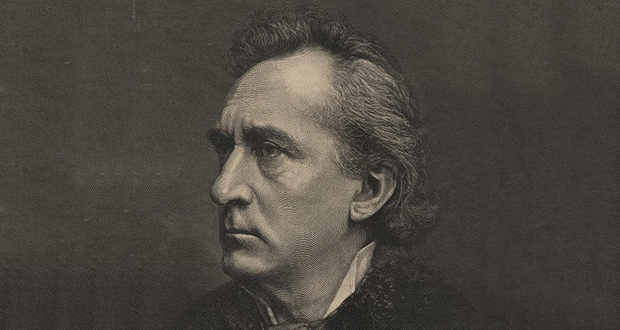 President Abraham Lincoln's assassinator John Wilkes Booth's brother, Edwin Booth, saved the life of Abraham Lincoln's son, Robert Lincoln in 1865. 2. American actress Brittany Murphy died of pneumonia (and drugs) as did her husband (Simon Monjack) a year later. The cause of this coincidence is unknown but it is believed to be due to the mold of the house they lived in. 3. Mark Twain was born and died exactly in coincidence with the appearance of Halley's Comet. 4. The English Dennis the Menace and the American Dennis the Menace were developed completely independently of each other and were coincidentally published on the same day on opposite sides of the Atlantic on 12 March 1951. 5. Besides being Danish for "play well", LEGO means "I put together" in Latin. The LEGO Group says this is merely a coincidence. On May 17, 1882, solar eclipse observers in Egypt were greatly surprised when they saw a bright streak near the Sun once the totality began. By a remarkable coincidence, the eclipse had coincided with the perihelion passage of a Kreutz comet. It would otherwise have gone unnoticed. 7. It is by pure coincidence that we exist on a planet and in a time when our star is covered exactly during a total eclipse. The Sun's distance from Earth is 400 times the Moon distance, and the Sun's diameter is 400 times the diameter of the Moon. Because of this coincidence, we are experiencing a total eclipse. No other known planet has total eclipses and at some point, in the future, they won't occur on Earth either. 8. A 10-year-old girl named Laura Buxton from Blurton, Staffordshire, England released a balloon with her name and address on it, which floated 140 miles and landed in the back yard of a house where there also lived a 10-year-old girl named Laura Buxton, which caused a huge chain of coincidences between the two. 9. The flags of Haiti and Liechtenstein were identical by coincidence. The similarity wasn't discovered until the two nations competed against each other in the 1936 Berlin Olympics. 10. In a unique coincidence of history, both John Adams and Thomas Jefferson died on July 4th, 1826, exactly 50 years to the day after the signing of the declaration of independence. Adams not knowing that Jefferson had died hours earlier, his words were, "Thomas Jefferson survives." The origin of the word 'crap' is medieval, and it is just a coincidence that the man who mass-produced the first toilets was named Thomas Crapper. 12. By coincidence, a married couple was photographed at the same place and time at Disney World 15 years before they met. They weren’t even the resident of the same country when the picture was taken. 13. There is no correlation between Marilyn Vos Savant (the lady with the highest IQ) and Savant Syndrome or Idiot Savant (a condition whereby people have exceptionally high IQ and show extreme aptitude in certain skills), but rather, it is a pure coincidence that they have the same name. 14. Someone named Armand Hammer sat on the Board of Directors for the parent company of Arm & Hamme and it was all just a coincidence. 15. In 1944 by a huge coincidence, a crossword puzzle of Daily Telegraph was printed with answers containing all D-Day operation "code names", which sent MI5 into a panic mode thinking their invasion plans had been discovered. #5 is wrong. It’s Danish not Dutch. Makes more sense too since Lego is a Danish company. Thank you for pointing it out. I have corrected that fact.